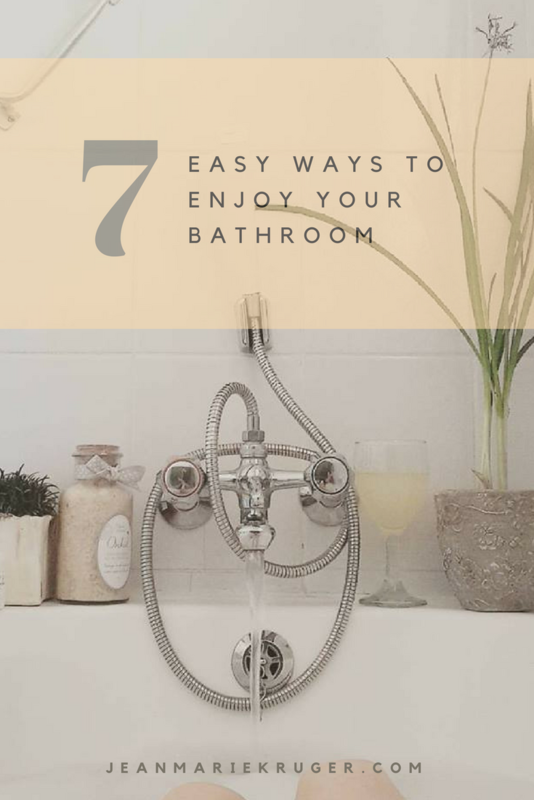 Bathroom Decor – 7 Easy ways to ENJOY your bathroom! 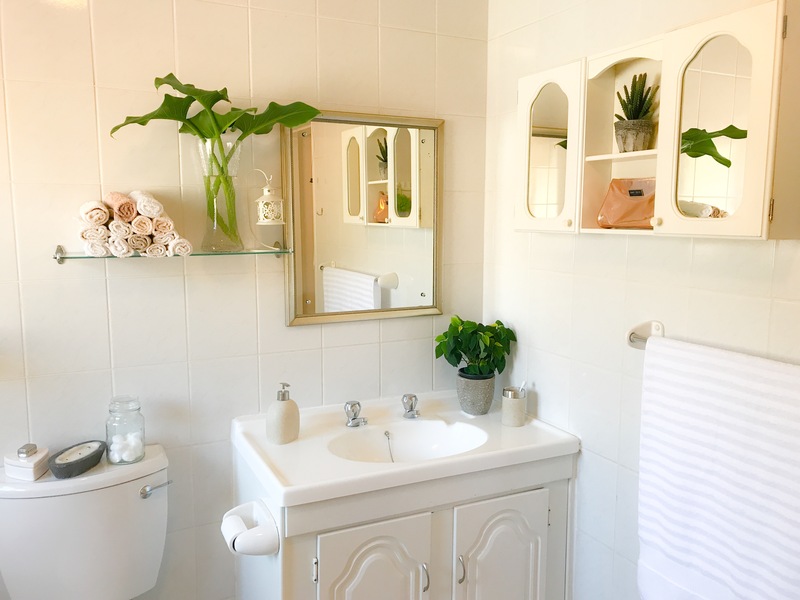 Bathrooms are by far my favourite rooms in any house. At home, this is where I am revived, where I unwind and have my alone time. This is the one room in your house, you can almost always be certain will be visited by guests! Nothing can really replace natural light. Keep windows open for fresh air and natural light – all day. Colours such as whites, creams or pastels always seem to have a calming effect and makes any space look bigger. Darker towels tend to fade quickly and look old within a year or two. I avoid black and navy blue. Baking soda mixed with vinegar can do wonders to clean tiles and lift dust. Nothing freaks me out more than those brown missions that build up between bathroom tiles. Remove labels – Call me weird, but if there are too many products with labels I get information overload. I just want to relax and not have too much information thrown at me – ever. Removing labels will also give a classic, more expensive look and feel to your bathroom. Chuck empties!!! Did you know that if a bottle is empty, you can actually throw it away!!! Make a point of finishing every product before opening a new one and be sure to chuck the empty bottles. Clutter is the enemy. I made it my mission to collect a boat load of face cloths of different shades. Every month I bought about 3 or so. Then you can dry your hands once and drop it in the laundry basket. Fresh, crispy, clean face towels – every time!!! Happiness. I am no new age activist but the reality is, that energy is a, well… a reality! Fresh plants and living pot plants generate a whole lot of positive energy and oxygen. I am of the opinion that anything natural, like plants or wood absorbs negative energy – For me it takes away that wound-up feeling after a long day. There is a reason why spending time in nature fights depression. Candles are a must. No energy connection there, I think. I just like them. They give light and romance! 🙂 Good vibes! ← What white can do!